A truly stylish and impressive UNOS Highsleeper with a superb free standing pull out chair bed and a designer storage cube to offer the ultimate in loft living. 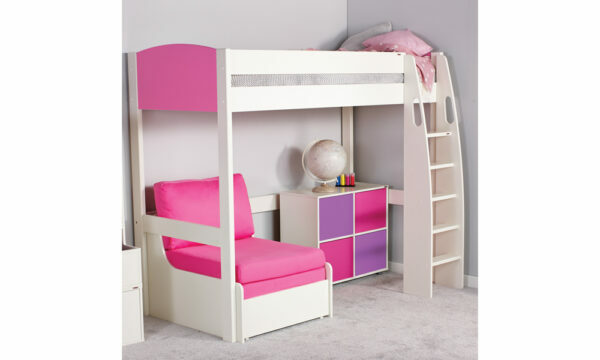 Perfect for sleepovers with a clever slat system for easy to use extending chair bed. 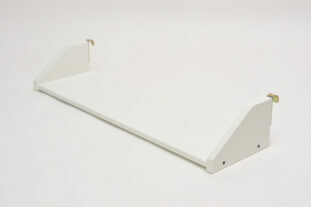 Other design features include a sturdy, robust ladder with cut out grab handles and ergonomically designed treads for easy climbing and sleek ‘push to open’ doors on the storage cube unit. With the great colour combinations available, this really is a designer bed to be proud of. 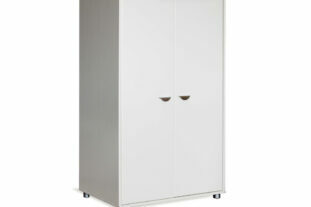 * Stompa standard 2 year product guarantee (frames & wood furniture). This is extended to 5 years if the Stompa home assembly service is taken. 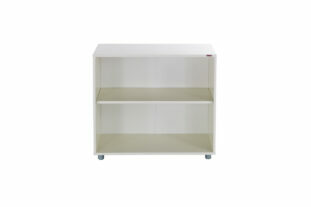 * Stompa products are made from a combination of high quality, solid pine and mdf with a white lacquered finish. Solid pine is a natural product that contains knots which may darken over time due to the resin and exposure to direct/indirect sunlight. This is not a manufacturing fault but a natural characteristic of wood.